The aging MMO Dark Age of Camelot is now under the control of a new studio called Broadsword Online Games. Dark Age of Camelot is one of the grand-daddies of the MMO genre, having launched all the way back in 2001. That makes it awfully old for an MMO, so it's not entirely surprising to learn that Mythic Entertainment has in recent months been "discussing the question of Camelot's future." After all, even an old MMO that's more or less on cruise control costs money to maintain. But instead of winding it down, Mythic has decided to place responsibility for the game in the hands of Broadsword Online Games, a new studio formed by veterans of the company including co-founder Rob Denton and two members of the original DAoC development team. 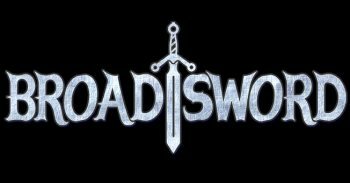 Broadsword will "partner with EA's Mythic Entertainment to operate, support and develop Dark Age of Camelot on EA's behalf," although an FAQ following the announcement clarifies that it is not actually an EA studio. It also says that players shouldn't notice any change during the transition but adds that the studio hopes to implement significant changes in the future. "Going forward, we hope to bring about some exciting new changes, improved Customer Support, and increased correspondence with the DAoC community," it states. "Broadsword's dedicated team will also work to modernize and improve existing DAoC content, complete long-awaited improvements to The Camelot Herald, and establish compelling new features for Dark Age of Camelot, both in-game and out." More information about the Dark Age of Camelot handover will be provided in a later update.